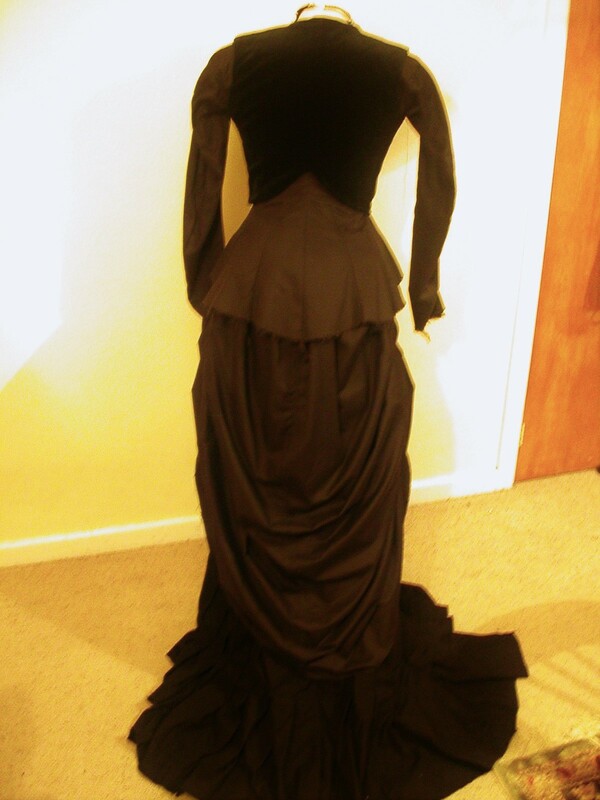 This gown became a reality as I wanted to test my ideas on the skirt for the red dress in Bram Stoker’s Dracula and I knew fully pleated skirts (or kilted as the fashion magazines of the day described them) were very common for the time period I was most interested in. 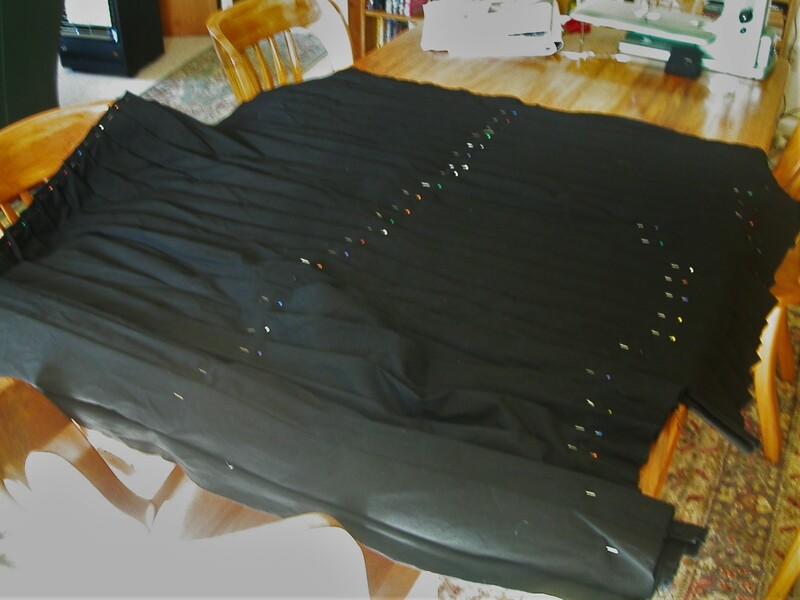 I found the cotton fabric for the underskirt at $1/m and a good 2.4m wide as it was for curtain making. 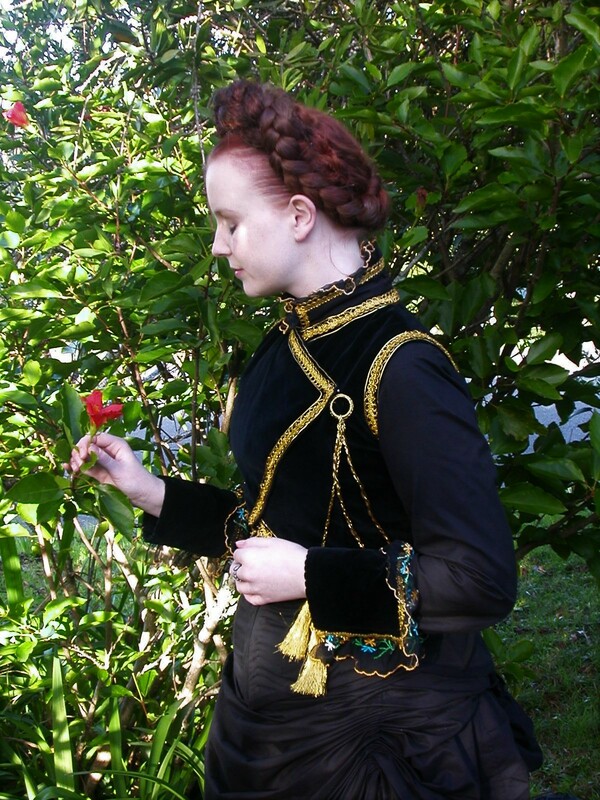 The bodice and overskirt were made in a fine cotton twill found at a 2nd hand store still on the roll from about the same price. 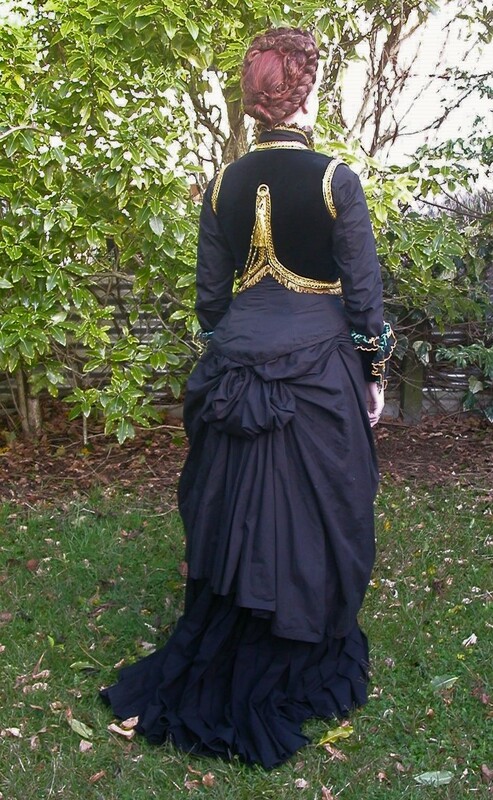 The bolero is more accurate to the original fashion plate in Harper’s Bazaar as I had always loved it even before I had seen the film. 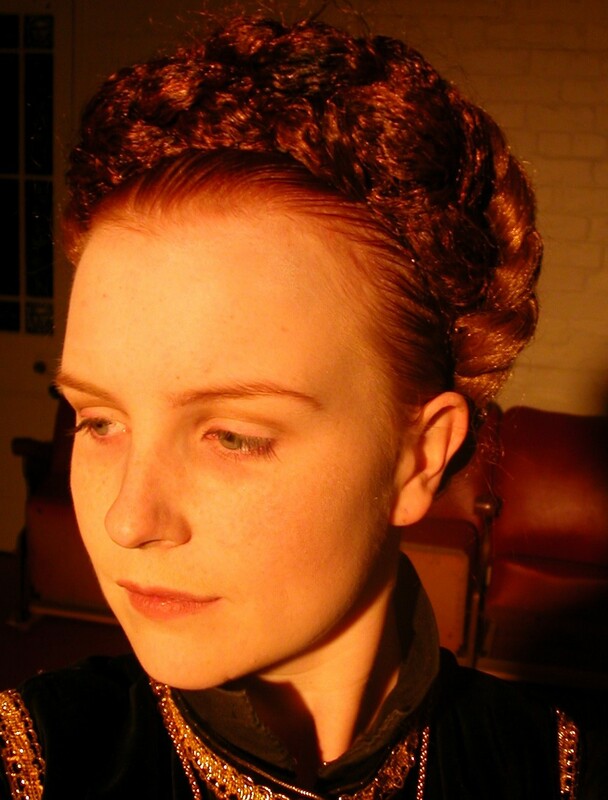 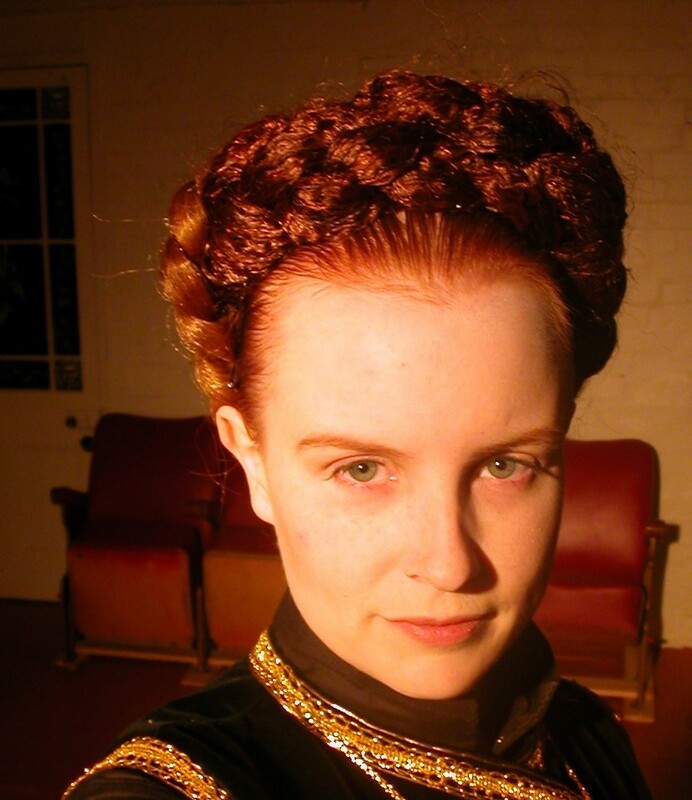 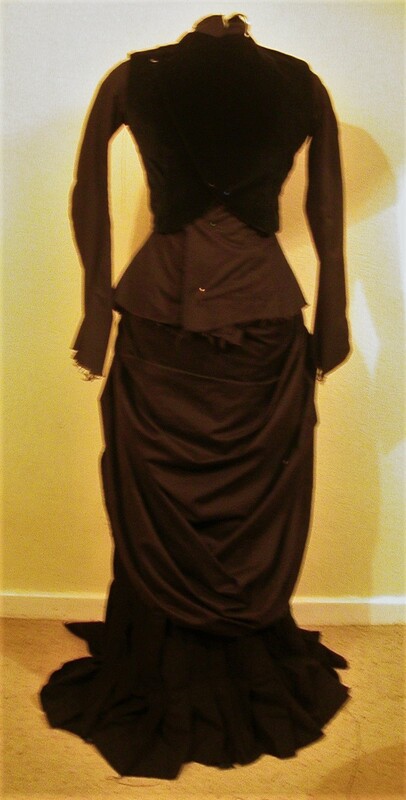 The costume was made for a production of Gaslight where I played the lead.. 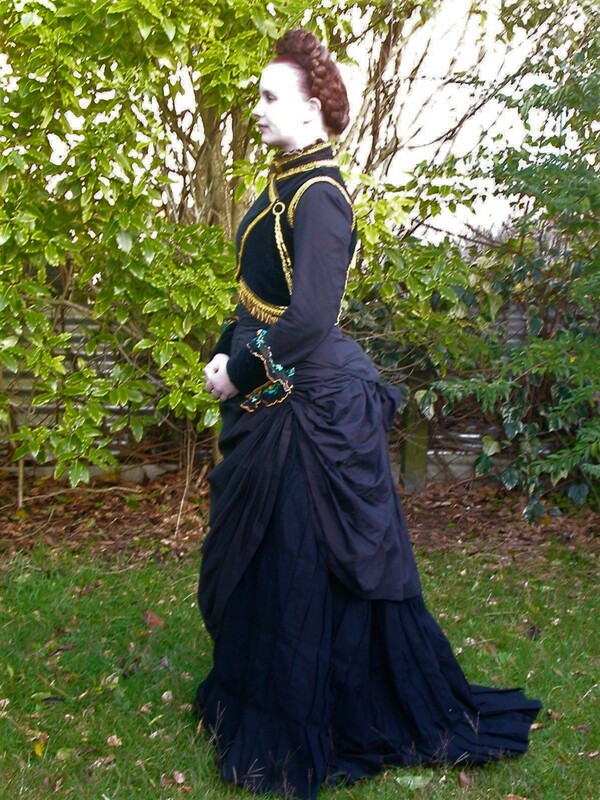 The bodice and full, gored skirt used for the drapery were made from a fine cotton twill. 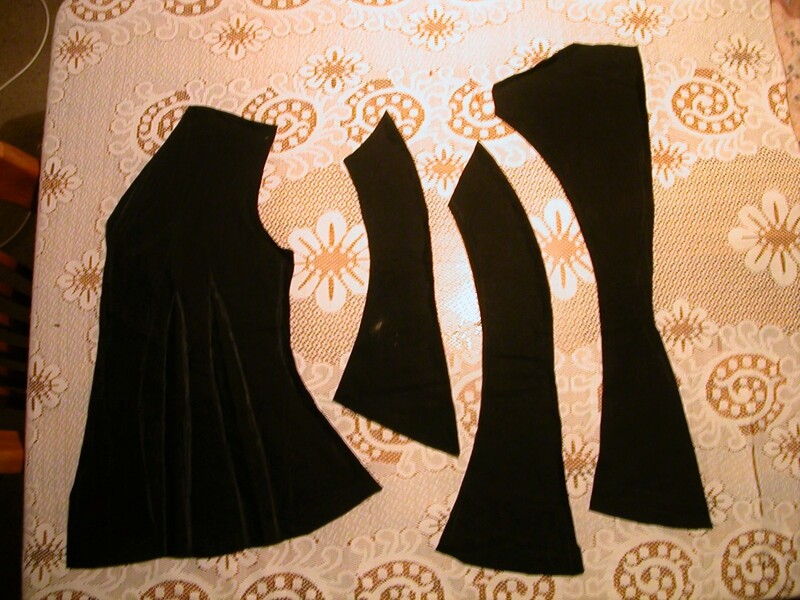 The bolero from cotton velvet and the fully pleated skirt was made from 10m of a heavy plain weave cotton. 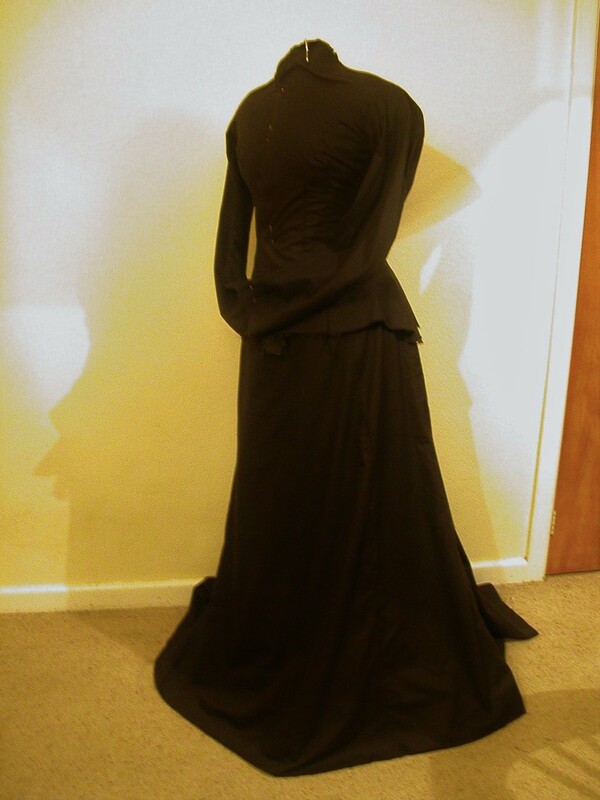 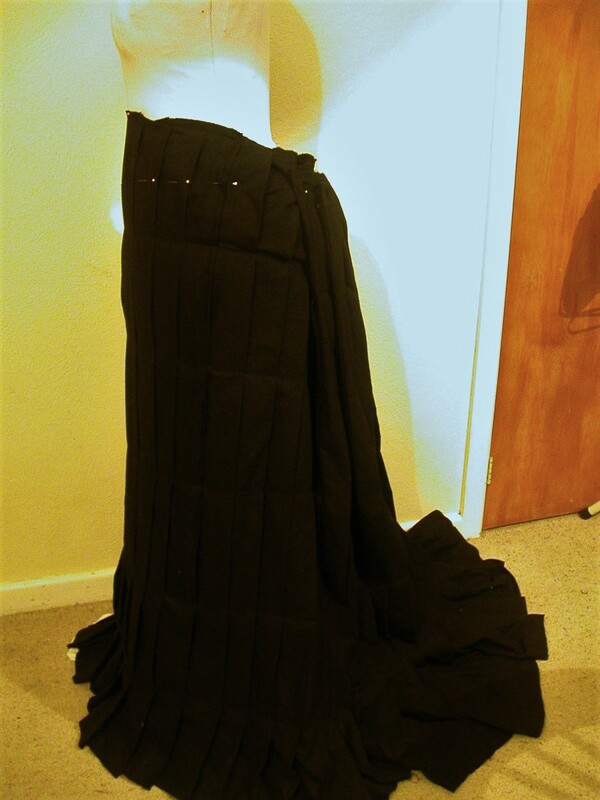 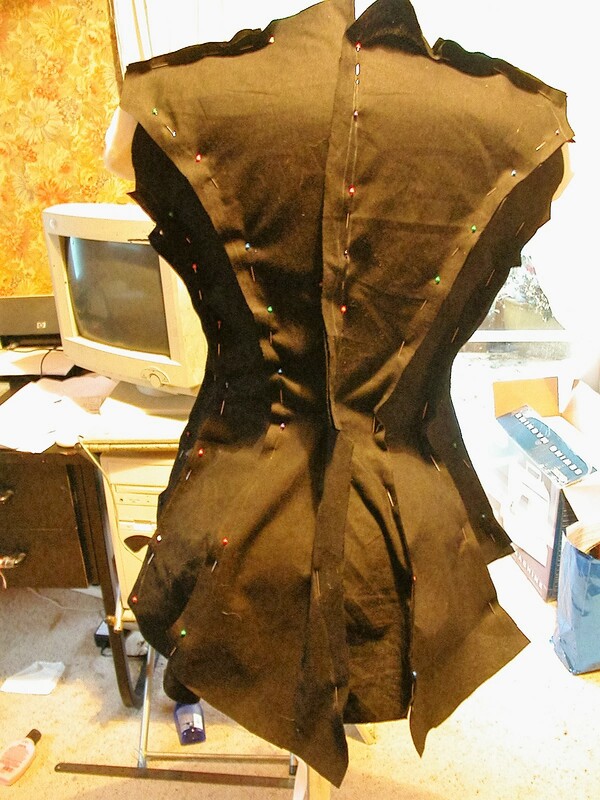 The underskirt was fully pleated and stiched down before being shaped on the stand. 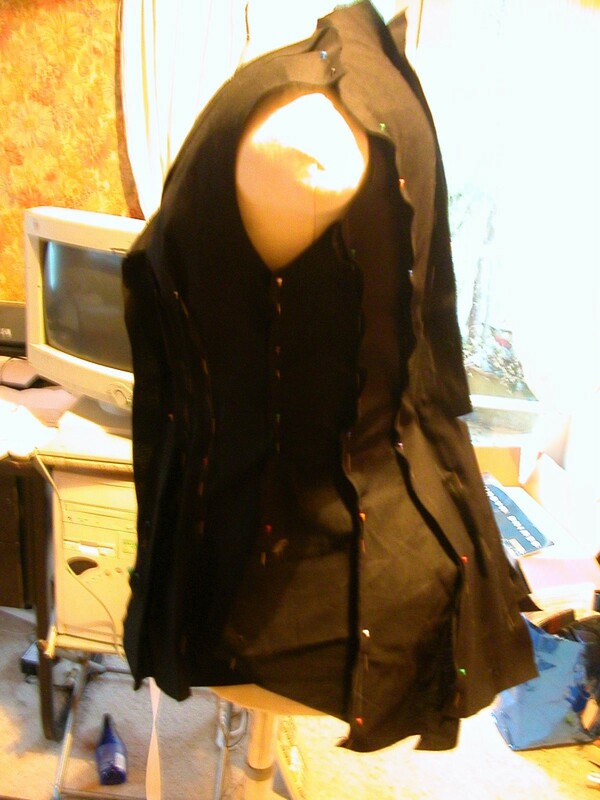 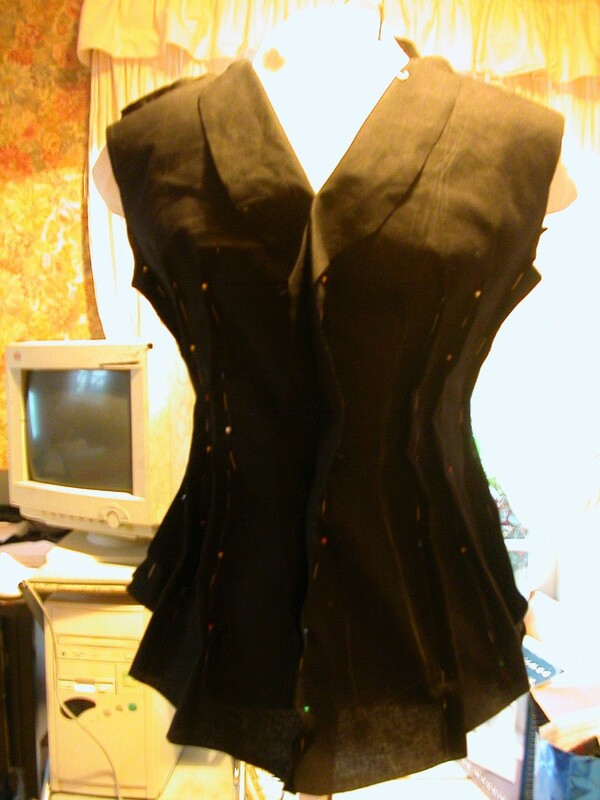 The bodice was patterned using authentic pattern pieces and lined with the same cotton as the pleated skirt.